When it is time to replace the front entry door of your home, you need a door that’s durable and will perform reliably for years. Consider having a new door installed by Overhead Door Co. of Greater Cincinnati! We provide entry door installation in Norwood, OH and beyond. Contact our door installers online for a free estimate or call (513) 394-6938 if you need front door installation services in the Norwood area! 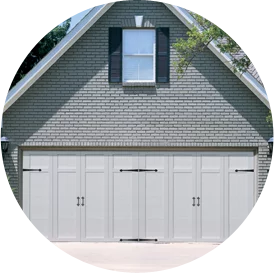 Overhead Door Co. of Greater Cincinnati has the people, knowledge and unparalleled abilities to complete any door package, from single-door projects to large, complex custom orders. Searching for “front doors near Cincinnati” or “entry door installers near me”? You’ve come to the right place to get the best front doors in Norwood installed on your home! Contact our experts to learn more or if you’re ready to install or repair an exterior front door in the Norwood area! Give us a call at (513) 394-6938 today.